The fund’s regional head asserted Vietnam shall be the next target as a follow-up business tactic of wading deeper into Asia, according to an exclusive interview conducted by newswire Deal Street Asia. Vietnam’s national assembly on Monday gave authorities the ability to declare troubled banks bankrupt, through an amendment to a law on the operation of credit organisations, the government website said. HCM City is likely to achieve exports of US$35.2 billion this year, a 15.1 per cent increase from last year, and imports of $43.1 billion, a 13.2 per cent rise. Vietnamese conglomerate Hoang Anh Gia Lai (HAGL) has shipped a total of over 9,000 tonnes of Cambodian bananas destined for the Chinese market since the firm first started exporting in July, a company representative said. Vietnam’s Central Power Corporation has put into operation two electric cars along with the country’s first charging station in the central city of Da Nang in a bid to promote the use of clean energy. Vietnam’s North-South Expressway project will boost transport for both goods and passengers. The balance of the petrol price stabilisation fund surged to more than VNĐ5.22 trillion (some US$ 230 million) at the end of the third quarter of 2017, the Ministry of Finance reported on Monday. Vietnam Enterprise Investments Limited (VEIL.L) stock has seen the Average True Range move higher over the past 10 sessions, indicating strong momentum potential and increased volatility. Property developer FLC Group on Monday held a meeting with more than 400 South Korean estate firms, investors, tourism agencies and investment funds during a large roadshow and seminar held in Seoul. The US Department of Commerce (DOC) has announced its affirmative preliminary determinations on the antidumping duty (AD) investigations of the import of tool chests and cabinets from Vietnam and China. Deputies told the National Assembly on Monday that HCM City should have more autonomy in urban planning, building infrastructure, investment and the management of revenue for public servants’ payroll. 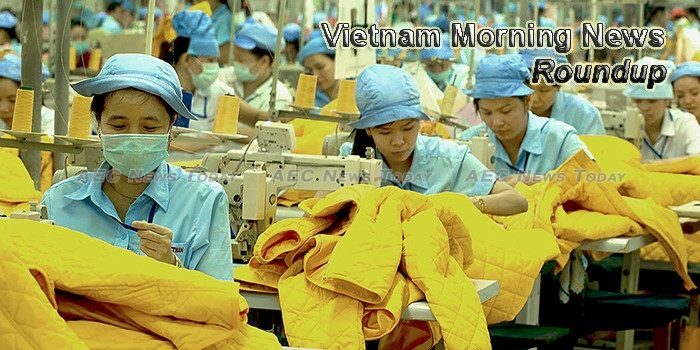 NDO – Vietnam General Confederation of Labour (VGCL) in collaboration with Ministry of Labour, Invalids and Social Affairs (MoLISA) and the Vietnam Chamber of Commerce and Industry (VCCI) announced “Businesses that Take Good Care of Employees” rankings at a press conference in Hanoi on November 21. Viet Nam has become an attractive market for Japanese retailers following the popularity of Japanese goods in the domestic market. China Southern Airlines has officially launched a direct flight connecting Beihai and Zhengzhou cities in China and the central city of Đà Nẵng. The EU-Vietnam Free Trade Agreement (EVFTA) needs to balance both sides’ interests and respects the articles that they have agreed on, Deputy Prime Minister Vuong Dinh Hue told Ambassador Bruno Angelet, head of the EU Delegation to Vietnam. Vietnam is considered to have significant potential for the development of an innovative startup ecosystem, a forum on startup ecosystems held recently by the Vietnam Chamber of Commerce and Industry heard. An aid package from the Association of Southeast Asian Nations for victims of typhoon Damrey has arrived at Cam Ranh International Airport in the central province of Khanh Hoa.